Henry's has been a huge part of my life and creative journey for the past 5+ years. 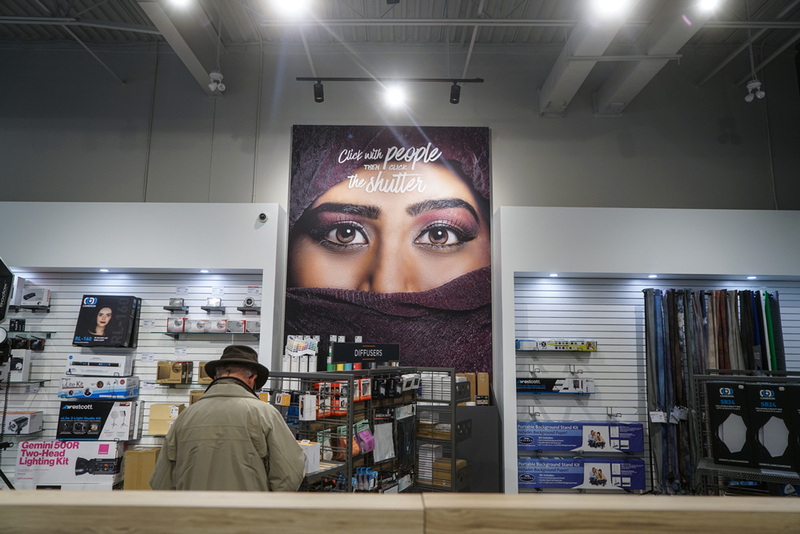 As a photographer and designer, working in the marketing department at the biggest camera retail chain in Canada was a bit of a dream come true. I got to work with and learn from some incredible leaders in the marketing industry and to combine two of my passions together - design + photography. 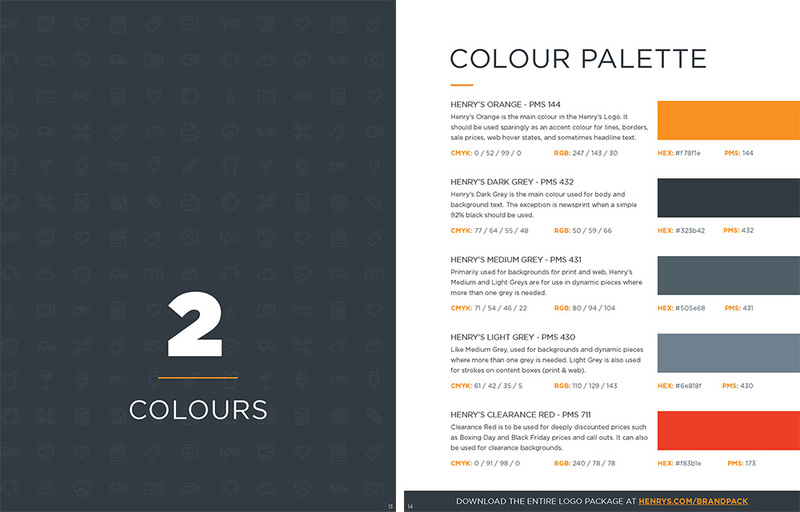 When I began my role as Art Director at Henry's, there were no brand guidelines, the logo hadn't been touched in nearly 30 years, and not even the colour of orange was consistent. This presented a wonderful and exciting challenge - to help modernize a brand that I had admired since I was a Bachelor of Fine Arts student, studying photography on the west coast of Newfoundland. I spent a lot of time developing concepts, sketching, presenting ideas to the VP of marketing, and repeating that process. The challenge was selling the idea to the board and the CEO. The CEO grew up with the company logo, and the board, consisting of all family members, were really attached and familiar with the old logo. To get it past them would take a lot of work. After the presentation of the logo we felt had the best chance, Andy Stein, the owner of the company said "I came in here ready to fight tooth and nail to keep the old logo. But I love this. I can't believe it, but I love it." When the VP of marketing at the beginning of the rebrand casually told me "We need a slogan. It has to say we sell cameras and we are Canadian". I replied jokingly with "What about Canada's Greatest Camera Store". The VP of marketing and CEO loved it and, well, it just stuck! 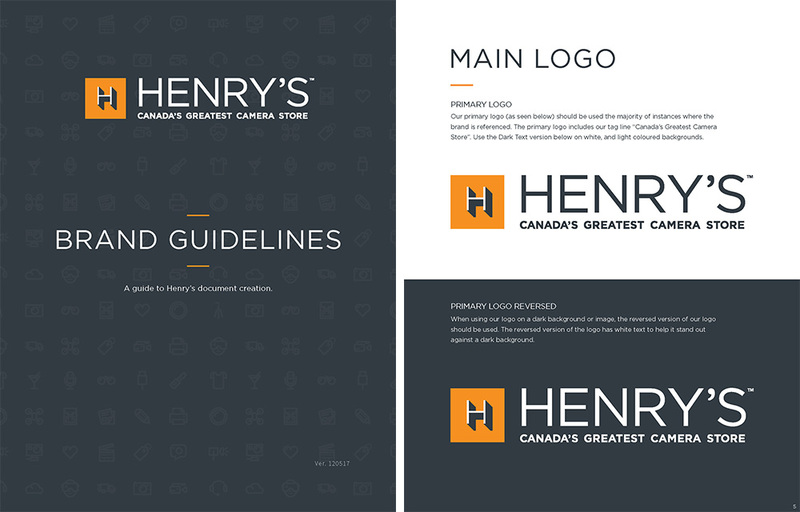 Despite its relatively small size, the marketing department at Henry's is rife with smart and eager young people willing to roll up their sleeves and get things done. As art director, that's how I like to work. Some days I might be directing a photo shoot, other days I might be taking the photos myself. 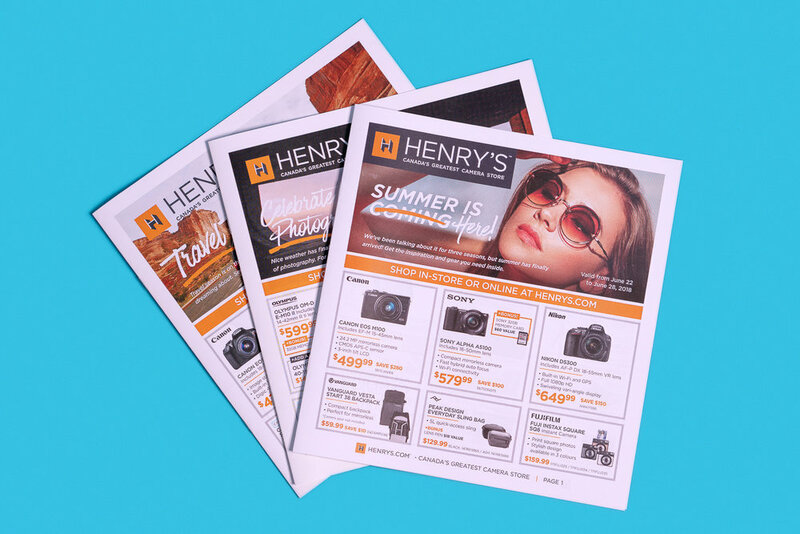 On top of traditional media like print flyers, magazine ads, and direct mail pieces, the marketing team initiated some fun projects such as a magazine titled "The Lens", in partnership with Rogers Media. 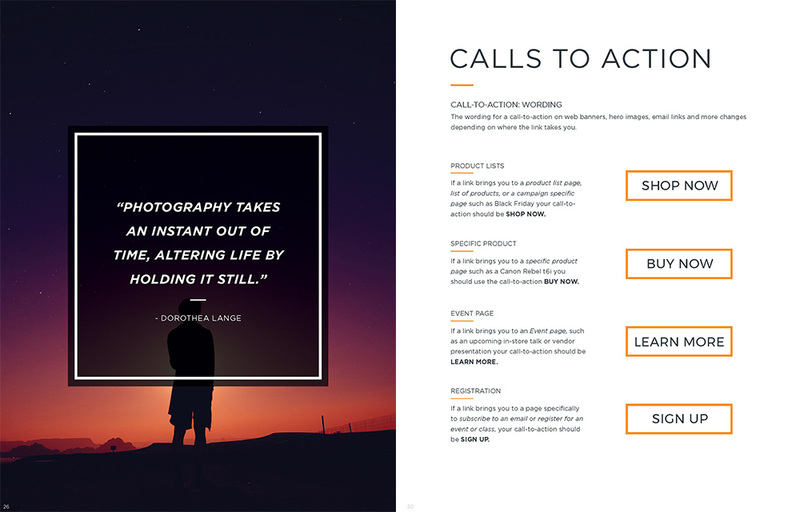 The Lens is a free quarterly print and digital magazine focusing on content creators, photographers and videographers. My role on the team was to work with the art director from Rogers to ensure that the content, tone, imagery, and design were on brand. When they weren't, I provided guidance and solutions. Sometimes this meant finding the right images, other times it meant sending copy, product, and layout revisions. We also initiated regular video segments that helped our social media following grow exponentially. One of my favourites is the Henry's Spotlight Series. This monthly video production is done in partnership with The Turn Lab, who produces the videos. My job is to direct the look and tone of the series to make sure it aligns to the Henry's brand, while also sourcing artists for the videos. I ensure that the visuals are representative of our brand, the music works with the piece, and that the flow of the video makes sense. 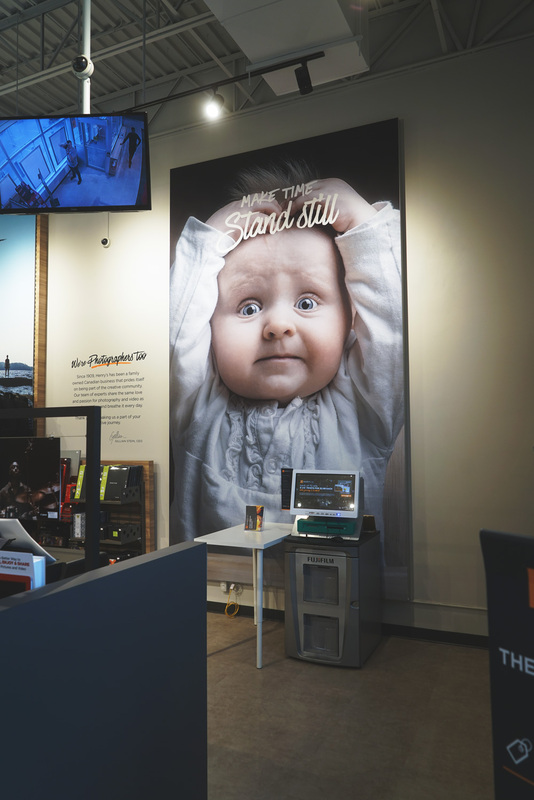 Another fun aspect of a retail rebrand is redesigning store interiors and exteriors to create a thoughtful customer experience design. I lead the design of interior imagery and signage by sourcing images, creating inspiring tag lines, creating templated way-finding signage templates used across all new stores, writing copy for wall decals, and leading the web and print teams on marketing collateral for pre and grand opening events. 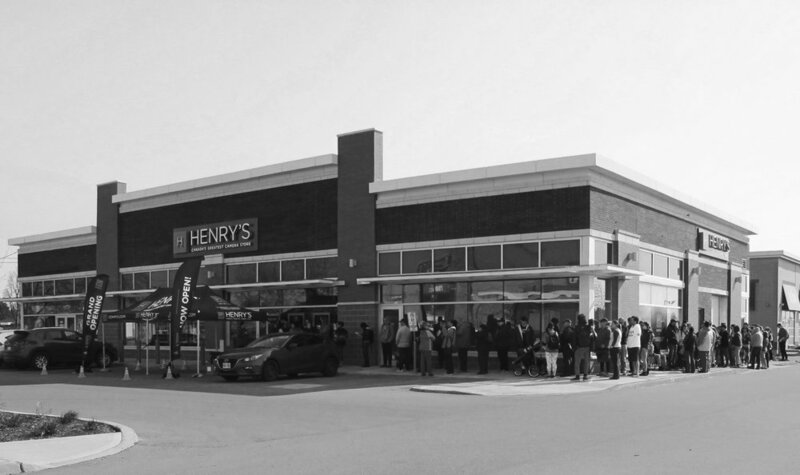 After our rebrand and new store design Henry's broke every grand opening sales record in the history of the company, consecutively. All 6 new stores that our team helped to initiate, plan, design, and execute grand openings had line-ups wrapped around the store. 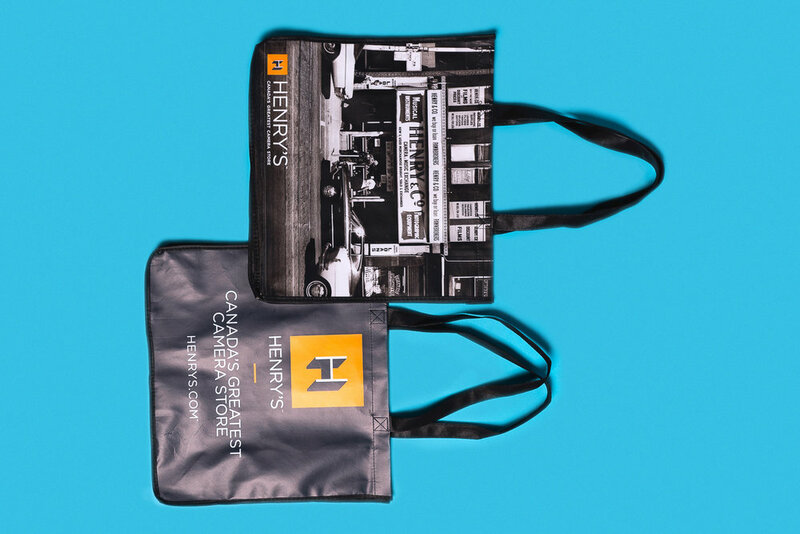 In my three years as Art Director at Henry's I was able to truly stretch my muscles as a creative problem solver. Leading and directing the design for everything from way-finding signage and monster poster campaigns, all the way to planning photo and video shoots with some of Toronto’s top creative talent, has been a rewarding opportunity.